The World Academy of Art and Science was established in 1960 as a non-official network of individual Fellows from diverse cultures, nationalities, and intellectual disciplines, “chosen for eminence in art, the natural and social sciences, and the humanities. Its activities focus on "the social consequences and policy implications of knowledge.” The Academy serves as a forum for reflective scientists, artists, and scholars to discuss the vital problems of humankind independent of political boundaries or limits, whether spiritual or physical -- a forum where these problems can be discussed objectively, scientifically, globally, and free from vested interests or regional attachments. In 1992, MSS began a series of discussions with Carl Goran Heden and Harlan Cleveland, the former and then present Presidents of WAAS, to explore areas of common interest. Mr. Cleveland participated in the final meeting of the International Commission on Peace & Food in 1993 and contributed ideas for ICPF’s report, Uncommon Opportunities. The report was released by Mr. Cleveland at WAAS’s General Assembly in Minneapolis in October 1994. Over the past fifteen years, MSS has collaborated with WAAS on a number of conferences and research projects. 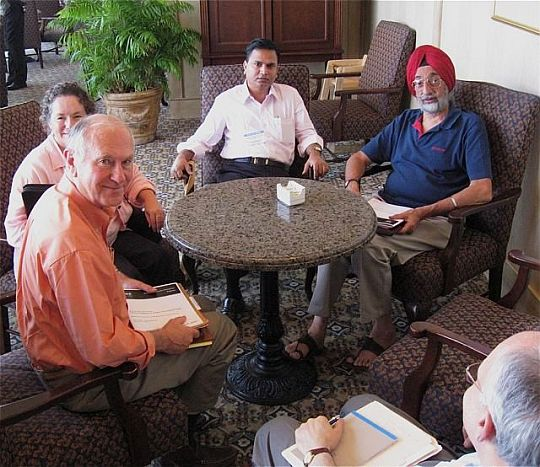 In 2012, MSS Vice President Garry Jacobs was elected Chairman of the Board and CEO of WAAS, MSS was recognized as an official international center of the Academy, and the secretariat of the Academy was formally shifted to Pondicherry. MSS co-sponsored a special half-day session on, New Foundations of Knowledge for Science immediately following WAAS’ 1994 General Assembly. More than fifty WAAS Fellows participated in the meeting and a follow-up session was organized by WAAS in 1995 under the leadership of Dr. Jonas Salk. In 1998 Harlan Cleveland collaborated with researchers at MSS to prepare a book on development theory which was subsequently published by WAAS as Human Choice: The Genetic Code for Social Development. A special session co-chaired by Harlan Cleveland and Garry Jacobs was conducted at WAAS’ Vancouver General Assembly in 1998. MSS also chaired a workshop on Economic Development at the GA and presented a discussion paper entitled Economic Development in the Global Century. In summer 1999, MSS and WAAS co-sponsored a workshop on Development Theory in Washington DC and in fall of the same year MSS and WAAS conducted an international symposium on Development Theory at Chennai, India. In 2008 the Society undertook research on the relationship between economic development and environmental sustainability. The findings of this research project were completed by mid-year and presented at an international conference organized by the World Academy of Art & Science at Hyderabad. In November 2004 WAAS and MSS were co-sponsors of an international symposium on peace and development convened in New Delhi to examine the relevance in today's world of recommendations contained in the report of the International Commission on Peace & Food, Uncommon Opportunities: Agenda for Peace & Equitable Development, which was submitted to the UN in 1994. The conference was inaugurated by Dr. A.P.J. Abdul Kalam, President of India. The keynote address was delivered by Mr. Natwar Singh, Minister of External Affairs. The meeting was convened in collaboration with the International Centre for Peace & Development (USA), the M.S. Swaminathan Research Foundation (India), the National Farmers Commission (Government of India), and the UN World Food Program. The conference explored the inextricable mutual interdependence between peace, social stability, democracy, employment and food security. In September 2005, WAAS and MSS convened a workshop on nuclear disarmament in Washington DC. Robert McNamara, former President of World Bank and US Defencee Secretary, participated together with Fellows of WAAS and three staff members of MSS. 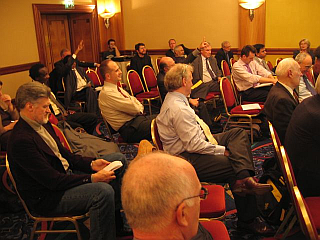 In November 2005, MSS co-sponsored the World Academy's General Assembly in Zagreb, Croatia. MSS co-chaired and presented papers at a plenary session on Global Employment in a Knowledge Society, and in two workshops on Money and Rising Expectations. 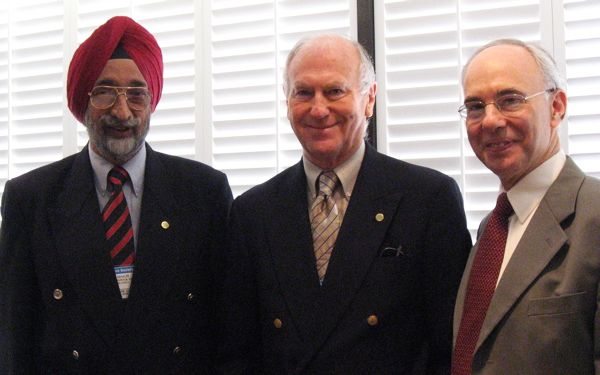 In July 2006, MSS presented a paper at a WAAS workshop on Elimination of Nuclear Weapons at the annual conference of World Future Society in Toronto. In October 2006, MSS sponsored a WAAS workshop on Nuclear Disarmament in New York City in collaboration with the Global Security Institute and Middle Powers Initiative. In April 2007, MSS participated in a workshop conducted by the South East Asian Division of the World Academy of Art & Science in Zagreb, Croatia on strategies to promote employment generation in SEE countries. WAAS organised an international conference along with The European Leadership Network and Inter-University Center at Dubrovnik, Croatia on September 14-16, 2012, which was sponsored by The North Atlantic Treaty Organisation. Garry Jacobs participated in the conference as a speaker, representing the Society. In recent years, Individuality has emerged as a pre-eminent social value and driving force for change. Human rights, democratic participation, universal education, economic opportunity, social tolerance, freedom of thought and expression, individual innovation and inventiveness are the dominant levers for human progress. The leader, innovator, entrepreneur and the pioneer are social expressions of this phenomenon. The original thinker, inventor and creative artist are mental expressions. Current trends indicate that individuality will play an even greater role in the future. MSS is undertaking research to determine precisely what individuality is, how it is constituted and developed by the collective, and by what process the individual acts on the collective and creatively enriches it. A global e-Conference was launched in Feb 2010, in collaboration with the World Academy of Art & Science. In 2008, MSS collaborated with the World Academy of Art & Science to organize and conduct four sessions at the General Assembly of the Academy in Hyderabad on October 17-19. MSS chaired a plenary session on Development and Environment, which included two presentations by Society staff. MSS also organized sessions on the Global Financial Crisis, Development Theory and Limits to Rationality. “The Power of Mind” was the theme of the Club of Rome annual conference which concluded in October 2012 in Bucharest. That theme was of immense relevance to addressing the multiple crises that afflict humanity today. The essential message of the conference was that solutions do exist to the problems confronting humanity today, but those problems necessitate fundamental changes in the way we think about global society, public policy and humanity’s future. Garry Jacobs, representing the Society, presented during the conference on “Towards a New Economy” on October 2012. Enough time and energy have already been spent defining and quantifying the global problematique of persistent hunger and endemic poverty, rising unemployment and growing inequalities, resource depletion and environmental damage, financial instability and soaring public debt, growing insecurity, cultural tensions and social unrest both domestically and internationally. Business as usual, more of the same, simply will not do. We need a radical change of course. Mind has the power to formulate effective solutions, if it consents to cast off the blinding constraints of conventional wisdom and vested interests.